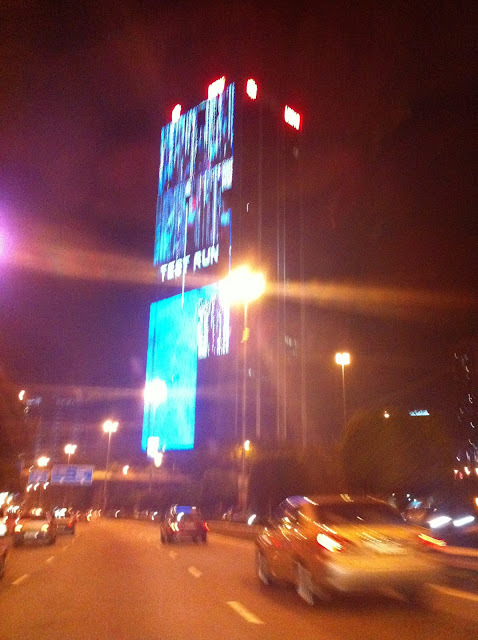 The Giant electronic signboard !!! This electronic signboard placed in the strategic place is good for advertisement. 1 good for advertisement but its might be good for another 1. This place is traffic jam famous spot. 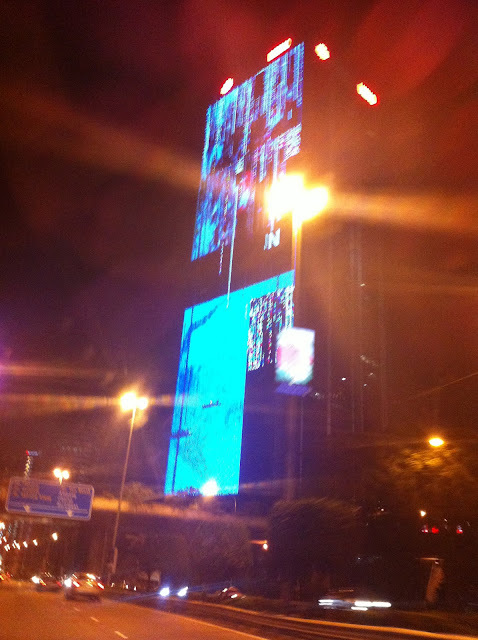 You get stuck in jam and you have this electronic advertisement to enjoy which is good. But on other hand, when there's no traffic jam, i pray hard to god, the drivers wont lose focus to the electronic advertisement board when driving. As tonight was my first time saw this, im immediate took my iPhone to snap which is quite dangerous act. Of course, im slowing down and drove along at middle lane. 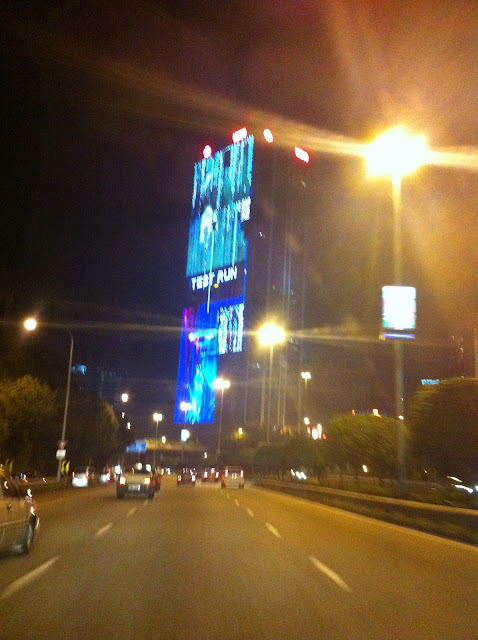 God Bless to drivers who going to drive along Jalan Tun Razak passingby Bangunan UMNO / PWTC.